Life is a sequence of stages and many teachers and parents are celebrating preschool graduation. Graduating from preschool represents a young child’s initiation into their academic journey. They are no longer a “little” girl or “little” boy. In their eyes, they are “big” and going to a “real” school. Not only does your child’s preschool graduation involve wearing a cap, gown, tassel and other academic accessories, but it also entails traditional pieces like our special Preschool Stoles and Honor Cords. 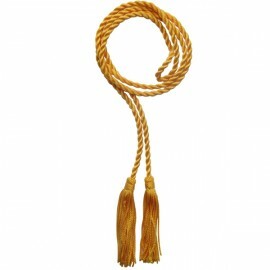 Gradshop offers the most popular Gold and White Honor Cords. Honor cords are popular graduation accessories that are seen in many graduation ceremonies. 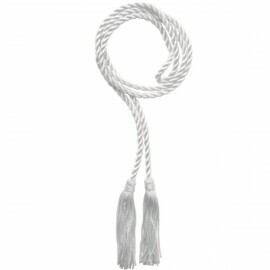 Gradshop’s premium honor cords are intertwined strands with a tassel on each end. Honor cords are worn around the neck with the ends of the cords hanging down the front side of the preschooler’s gown and two tassels on each side. Our high quality honor cords are a must-have if you want to show how hard your young child has worked to get where they are! Shop online at Gradshop and know that you are ordering outstanding preschool products at affordable pricing with great processing and delivery options.